Home » Peer-to-Peer Flipbooks » What Creates Virtual Event Success? Virtual Events are the latest big thing in fundraising. Unlike Physical Events, Virtuals don’t have the barrier of being held on a specific place at a specific time, making them highly appealing to a broader audience. And as charities look to diversify their fundraising streams in ways that both acquire new supporters and provide a fantastic donor experience, Virtual Events are ticking a lot of boxes. But what are the core elements needed to run a successful Virtual Events campaign and how do you overcome the new set of challenges they present? Why should you consider entering into this market? 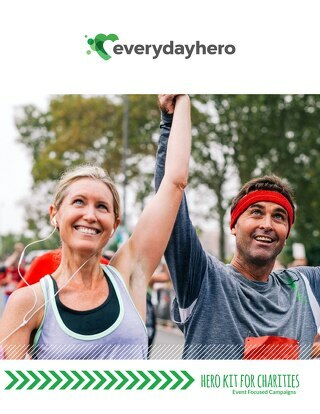 Peer-to-peer fundraising platform Everydayhero, a Blackbaud company, has teamed up with fundraising consultancy More Strategic to produce this new eBook that answers these questions.